Since I posted the fact that I stopped selling options in this turbulent market but remained invested in stocks, I have received several emails asking about the efficacy of getting into mutual funds until things normalize. The rationale behind these inquiries were based on the broader diversification that these funds provide and the ability to take advantage of the inevitable upcoming market appreciation. The short answer, in my view, is that for some….yes; for many others (including me)….no. Let’s examine exactly what a mutual fund is and then try to come to some sort of common sense, Blue Collar Conclusions. First, let’s define a Mutual Fund: An investment vehicle that is made up of a pool of funds, collected from investors that invest in stocks, bonds, money market instruments and other assets. The fund’s portfolio must match the investment objectives stated in its prospectus. 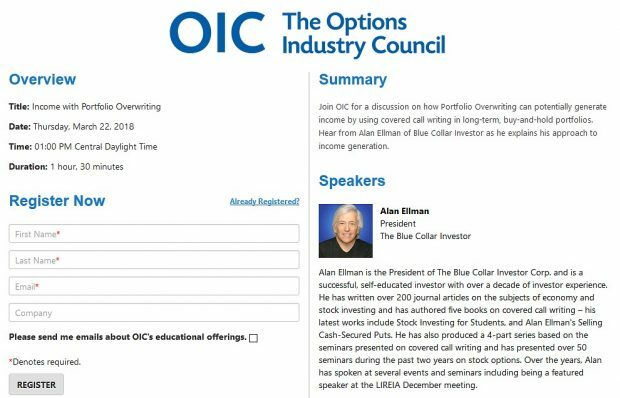 They are also known as open end management companies and provide professional management, diversification, and liquidity to Blue Collar Investors like ourselves. Open end means that new shares are issued all the time as opposed to closed end funds that issue shares only once through an initial public offering (IPO). Shares in a closed end fund can only be sold via an exchange or over-the-counter (OTC) whereas mutual funds can be redeemed directly from the fund. As a mutual fund owner you do NOT own any of the equities in the fund portfolio but rather an interest in the income that those securities generate. 1- Growth Funds– stocks whose price per share is likely to appreciate. 3- Balanced Fund– combines income and growth and must consist of at least 25% bonds. 4- Money Market Funds– safe income fund consisting of highly rated CDs, T-bills, and commercial paper. In addition, it comes with check-writing privileges. 5- Specialized Funds– 25% must be invested in a specific industry such as transportation. 6- Tax-exempt Funds– primarily invested in municipal securities. 1- Fund Family– funds that are sponsored by the same investment company (eg: Vanguard). 2- Board of Directors– elected by the shareholders to govern the fund. Establish investment strategy. 3- Investment Advisor– Appointed by the board of directors and selects securities for the fund. 4- Underwriter or Sponsor– investment company that purchased the shares and sells them to the public at a higher price which includes the fund’s fees (this is the public offering price or POP). 5- 12b-1 Fund– fund allowed to charge us their advertising fees. You have to look real hard into the prospectus to find the fine print for this one! 6- Custodian– a bank or trust company that holds the fund’s cash and certificates. 7- Transfer Agents- monitor the purchase and redemption of shares by issuing new shares and canceling redeemed ones. 8- Auditor– independent accounting firm that compiles balance sheets, income statements, and a list of securities held by the fund. – advertising fees (12b-1 alluded to above). No-load fund– sells shares directly to the investor without an intermediary. Therefore, no sales charge. Load-fund– mutual fund with a sales charge. If you purchase a load-fund also consider an appointment with your local psychiatrist to find out why! – short term- (less than 1 year) as ordinary income up to a max of 39.6%. – long term- (more than 18 months)- maximum rate of 20%. NAV represents the current value of a mutual fund share (fund value divided by # of fund units). This is what we pay for a no-load fund. POP adds in the sales charge for a load-fund (make that appointment!) so POP = NAV + sales charge. 1- Avoid any fund that charges a load. 2- Avoid funds that charge 12(b)-1 advertising fees. 3- Buy funds directly from the family of funds (Vanguard etc.). There is no need to pay broker’s commission. Fund information can be found @ www.morningstar.com. It’s free to join. 4- Consider dollar-cost averaging (see chapter 14 of my book) into an index funds with very low fees (low expense ratio). Vanguard’s family of funds (www.vanguard.com) are known for quality service and low expense ratios. Take a look at their S&P 500 (0040) and Total Stock Market (0085) Index Funds and see if they meet your needs. For those less inclined to do individual stock selection but want to take advantage of a possible major market upturn, this may be an approach to consider. As I stated in previous posts, my approach currently is to remain invested in equities but not to cap a potential major market appreciation by selling options. Every week, my wife Linda, carefully screens our stocks and if the fundamentals break down, an equity is quickly sold and replaced with a stronger financial soldier. In a turbulent market such as this one, there is very little history to go by in deciding on a path to take. As always, I take the path called common sense. It has always worked for me in the past. Is the market capitalization of the S&P 500 worth 40% less than it was several months ago? Or have global factors, market psychology, greed, and professional incompetence on the part of many caused a false and inaccurate re-adjustment of equity valuation? That is what you, as a free-thinking, Blue Collar Investor must decide. Above, I have discussed 2 possible paths to take; mutual funds and individual equities, both without selling options. There are others including cashing out until our economy stabilizes. What’s right for you can only be determined by one person and his name isn’t Alan, or Cramer, or Bush, or Paulson, or Warren…………… As Blue Collar Investors, we know to listen to EVERYONE collectively, but NO ONE individually. The Fed confirmed what we all already knew. It reported broad-based slowdowns in business activity and consumer spending. Manufacturing, tourism, interbank lending and real estate were all down. Retail sales were weaker than expected and industrial production contracted more than expected. I did find some good news on the inflation front with crude oil prices on the decline. This bodes well as a positive factor in sustaining consumer purchasing power. For the week, The S&P 500 was UP 4.6% (haven’t said that “up” word in a while!) for a year-to-date return of -35.2%. Sorry to say that I couldn’t, in good conscience, recommend one particular industry. During the past 4 months there was NOT ONE INDUSTRY that appreciated in value as a whole. I can’t remember that ever occuring before.. In the shorter 2 month time frame there was one industry in the plus column and that was Investment Brokers. Check out a stock I recently mentioned, SF. When you mentioned that you replace your “soldiers” with “stronger” ones…what is your decision criteria to sell? Do you sell when the option drops to approx. $0.20-$0.25 or do you establish a specific percentage drop as IBD recommends (8% in the IBD case)? Any other criteria? I have a large number of stocks that I’m still holding (from methodology that I learned earlier seminar that I attended). I would appreciate your insight to keep me from stayiong in a position too long. In a more predictable market ( 95% of the time) when both the fundamentals and technicals break down, I sell. I will be more specific during the webinar and give you some guidelines which are NOT etched in stone. Also, in a normal market environment, I buy back the option @ .25 particularly in the 1st half of the contract period. For premiums where I garnered a high return (eg. $4) I will expand that to 10% of the premium. During the 3rd week of the contract period, I will only buy back @ the .20-.25 level because opportunities to make money on an exit strategy is declining. In the 4th week, I will buy back an option mainly because I want out of the stock (see the Qualcom example on pages 116-120 of my book). In today’s market, I am extremely diligent to drop stocks that don’t meet the 1st 3 screens of my system and replace them with securities that do. Remember, until the market starts behaving in a rational and orderly manner, technical analysis is not as reliable (for buy-sell decisions) so we go by the fundamentals (predominently). In my view, the stocks with the strongest fundamentals are the ones the institutional bigshots are going to pick up 1st. Now, there are very few investors that have experienced this market environment. The bursting of the dot.com bubble is the closest for me. The point is that nobody knows for sure because there is virtually no history to go by. So as I stated in my previous post, I take the path of common sense. It has been good to me in the past. While I realize that this is new territory for everyone…including all of the 40-50 year Wall Street veterans…I want to make sure that I don’t make a hasty decision and throw out the baby with the bath water. But my fear is that it will take years to get to a point of break even. AGU, ASF, CSX, EXM, HK, JRCC, MTW, STLD, TGT, TSL, VCLK, and GOV. One of the most difficult decisions investors experience is to sell a loser. In the past, I found myself in that position many times. I have come to terms that no matter how much due-diligence one does, there will be losers. Today’s environment is an aberration so most stocks are down. 1- I purchased 100 shares of stock@ $50 and now it’s $30. 2- I ask myself why did I hold it so long? I’ll be more diligent next time…I have been guilty of this as have all investors. 3- I no longer have $5000 worth of stock, I have $3000 worth of stock. The company is simply a uniform that cash is wearing. 4- Is my best chance of that $3000 to appreciate to remain in that uniform or another; either way it’s $3000, doesn’t matter if it used to be $5000…that was in the past. 5- So I check the fundamentals and technicals and ask: Am I better off in EXM, JRCC, STLD, TGT (a banned stock!) or should I check my watchlist (stocks like HCBK, GILD, GIS, CHTT, NKE) and replace them? These are examples, not recommendations. My path of common sense tells me that I am better staying with the best performing stocks in the best performing industries rather than stick with the great performers of the past. I’ll address this further during this week’s webinars.